It's a bitter blow. When the ­government proposed a windfall tax on bonuses and a 50p top rate of income tax, thousands of bankers and corporate executives promised to leave the country and move to Switzerland. Now we discover that the policy has failed: the number of financiers ­applying for a Swiss work permit fell by 7% last year. The government must try harder to rid this country of its ­antisocial elements. We at TJN feel very strongly that the Britain's over-dependence on financial services is a massive structural weakness which undermines economic performance, encourages rent-seeking activity, breeds anti-social attitudes, and is generally a BAD THING. The nation would be well rid of a significant proportion of these 'talented' people. International attempts to close down tax havens remain halfhearted. But if, by some miracle, these measures were to succeed, one haven – let's say St Helena – should be kept open. It should be furnished only with rudimentary homes. All who chose to could live there in peace. Every penny they possessed would remain safe from the taxman, as long as they never set foot in another land. They could sit in their cells and count their money for the rest of their lives. Parties of schoolchildren would be brought to the island to goggle at these hermits, and learn some lessons about the follies of wealth. While we applaud the principle, we must strongly correct a glaring mistake: Saint Helena is neither a tax haven nor a secrecy jurisdiction. It is a hidden gem in the South Atlantic, largely spared from carrying the deadweight of bankers and lawyers. The friendly and peaceful people, who go by the catch-all title of 'Saints', do not deserve to have this fate foisted upon them. 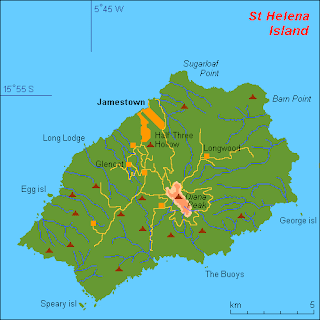 Saint Helena is a beautiful island (this blogger has visited in the recent past) and absolutely in no circumstances should the wretched, self-absorbed tax avoiders of this world be allowed anywhere near it. Instead we propose Hull as a substitute. Hull has had a bad press in recent years, not helped by its elected representative. The city badly needs inwards investment, entrepreneurialism and all the dynamic drive that the super-talented senior executives claim for themselves. Let them congregate in Hull and let's see what happens.